Maybe it's because I have a 2-year degree in media production that heavily favored advertisements, or maybe it's just because I'm weird (ecclectic, if I was rich), but I love advertisements and flyers. I also love all things Japan and JDM car related. Combine the two, and I could be on Horders in 20 years, buried under a mountain of free flyers and brochures from Japanese car shows. The easiest way to hide this addiction is to just scan everything into the computer. 1 BR-D can hold a LOT of 300 DPI scans. When I was in America, I loved to get my hands on every Japanese DVD, magazine, catalog, and flyer I could. After all, everyone had a Shoshinshya stuck to their car proclaiming there n00bishiness...ahem *coolness*... but how many people had a Surug Speed exhaust flyer, or a Japanese J's Racing catalog? No one in my circle, which made me feel cool, even if it was lame. Anyway, When I go to events and find cool promotional materials, I am going to scan them and put them on the blog. I figured that maybe someone else has the same probl....love that I do. I will always post a preview image at the top in 72 DPI for fast loading, and will then present the rest (or most of it) in 300 DPI, in case, for some odd reason, you want a copy to keep. Below is a flyer that I picked up at D1. The front side is for OTG, which appears to be a Toyota Dealer in Osaka that supports racing efforts. 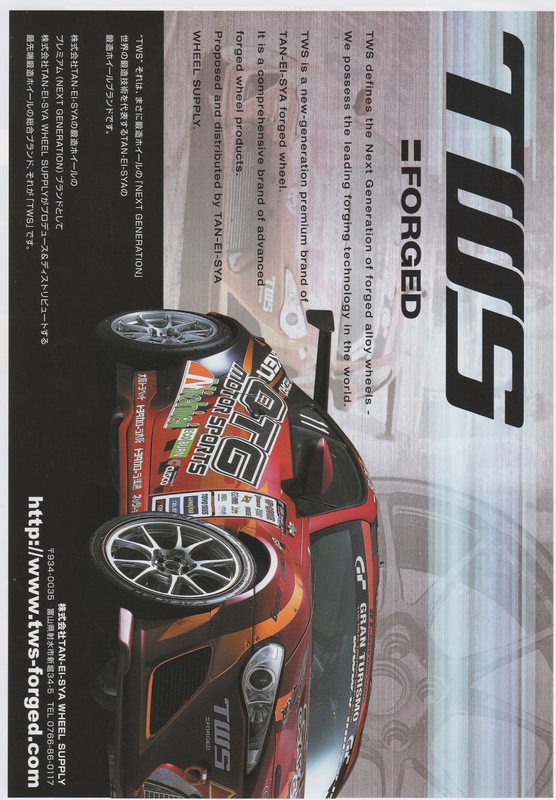 The back side contains an ad forTWS Forged Wheels. 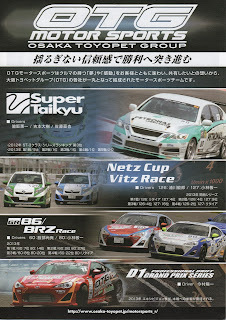 Seeing that they are a Toyota dealer, their focus is obviously the Toyota FT-86, which Americans know as the Scion FR-S. If you are a Toyota collector, it might be worth snagging and saving. The TWS ad is in both English and Japanese, so no need need for a translator. Is it interesting to see this kind of stuff, or am I just wasting our time? Sound off below.